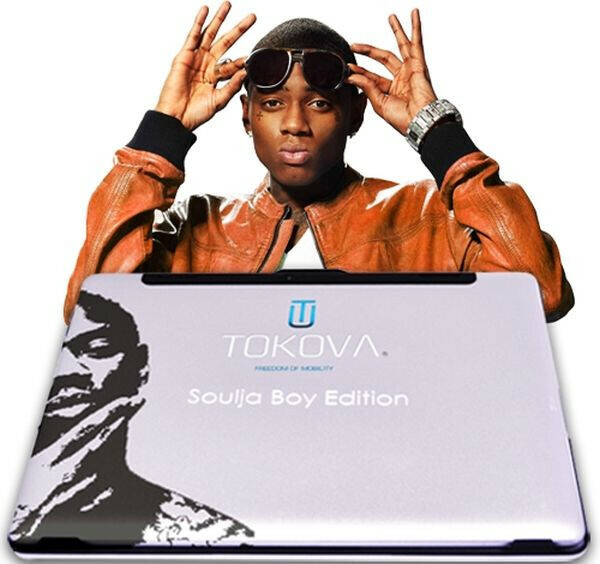 Tokova is not a brand most of you have heard of - we ourselves discovered it recently, but its partnership over Android tablets with rapper Soulja Boy is definitely looking like one of the better attempts of a low-key company to gain mainstream approval. Tokova is releasing two tablets - the Tokova Tiger Shark and Tokova Great White, both with alluring design and the rapper’s name and image easily noticeable. Now, that’s the only difference from the original Tokova tablets, but if using that celebrity endorsement could help, we don’t see a sin in the company’s marketing efforts. Now, the two tablets definitely don’t look bad, but the price might be just a bit overinflated. The 7-inch Tokova Tiger Shark costs $400 and arrives with Android 4.0 Ice Cream Sandwich, a 1.2GHz processor and 64GB of internal storage. The Tiger Shark is one of the thinnest on the market currently with its 0.4-inch thick body. The price is set at $400, which seems a bit pricey when compared to the cutting edge but still nearly twice cheaper Google Nexus 7 and Samsung Galaxy Tab 2 7.0. The Tokova Great White is the bigger slate, coming with a 9.5-inch IPS display with a resolution of 1024x768 pixels. It also runs on ICS and features a 1.5GHz quad-core processor with 2GB of RAM, and again 64 gigs of internal storage. The price for the 9.5-incher is set at $500. Now, the tablets definitely don't look bad, but would you be willing to get a device from a brand like Tokova that not many people have heard of? Check out the pictures below and let us know in the comments section. Tokova? no thanks Soulja Boy? hell no!!! I mean Soulja Boy, REALLY?!?!? & what the heck is a Tokova?!?!? I guess Tokova could only get Soulja Boy because Jay Z, Nas, Kanye West, & other big time rappers would not put their name on Tokova! Oh my god. Tokova? As if if you had a f*cking chance to sell without soulja boy editions. What were they thinking. Going down in history as one of the stupidest marketing moves ever. Vanilla Ice dancing with the Ninja Turtles from the second movie. lol That was EPIC! I bet that would sell more than Soulja Boy. I wonder how much money they paid him? 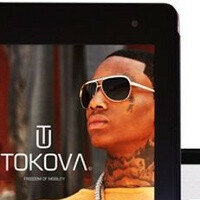 What do Soulja boy and Tokova tablets both have in common? they both don't sell well. I'm not broke in the first place, in the second place it was a joke, and in the third place when was the last time you heard someone say "dude, i just bought that new soulja boy album." maybe soulja boy is big in asia? 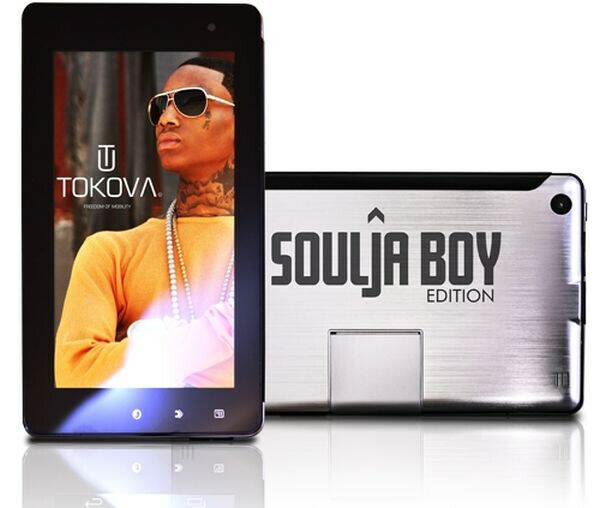 I would have considered the tablet without soulja boy's endorsement due to the decent specs, but the endorsement devalues the tablet in my eyes. f**k Yall People Hating For!! s**t If You Dont Wont The Phone Dont Comment Thats "Common Sense"! Soulja By Got Way More Money Then Yall He Ain't Stressing If You Dont Buy The Phone Nor His Albums! Ta Ha! and did you read the article? they are not phones. they are tablets. And who cares if he got more money than "Yall" He is still an annoying idiot. and whats worse than an annoying idiot? a rich annoying idiot. s**t If You Dont Wont His Face On It.... Get A Damn Skin Or Otter box Cover It Up!!! or he can go kill himself for ruining a generation of good music. and influencing these people to put his ugly face on the back of a good piece of kit.